Max Verstappen and his partner Exact were looking for a story about their shared values. How do you find the similarities between the most exciting young Formula 1 driver in the world and a software company? Exact wanted to empathize itself as a Tech Curious brand that is always looking for ways to innovate which corresponds with Max his natural instincts as a Formula 1 driver to keep pushing the limits. Together we decided to take driving a Formula 1 car in a simulator a step further by incorporating Virtual Reality. This campaign lets that symbiosis in a natural way and ensures that the brand values for both parties. We created an engaging content series that appeals to the fans of Max, the social followers of Exact and the current staff of the software company. All nine episodes combined reached more than 1 million views, with a total of 760.000 unique views. The concept is designed around the use of an innovative technique called Mixed Reality, which blends the real world and Virtual Reality to create a new reality. 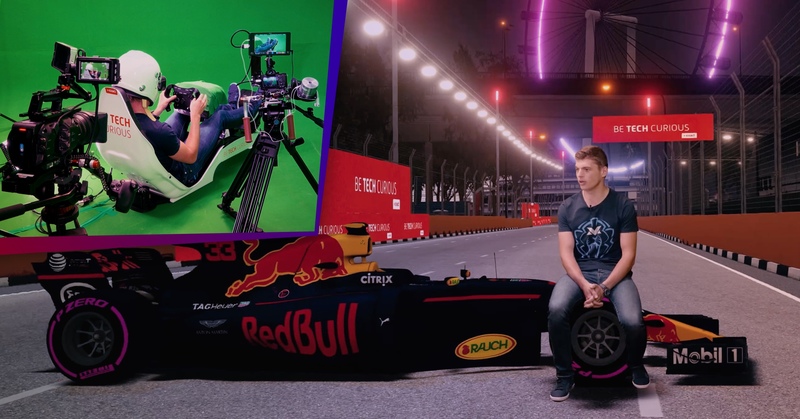 This combination gave Max and the viewer a real-life experience from Max his point of view while driving on a Formula 1 track. To make it even more special Triple decided to create a brand new in-game Formula 1 Grand Prix in The Netherlands. 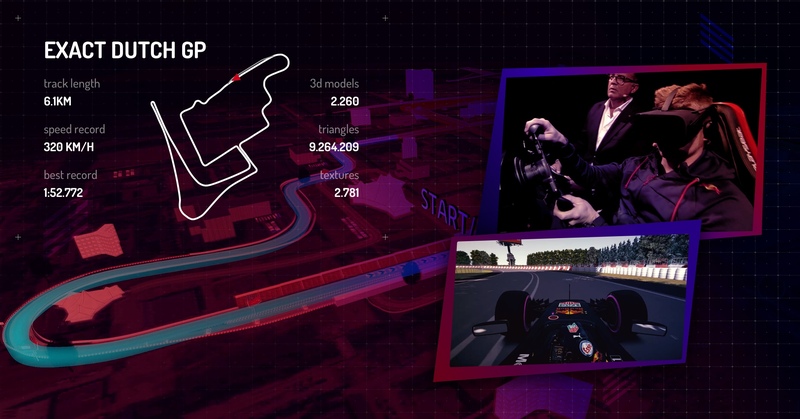 The custom Formula 1 circuit for the Exact Dutch Grand Prix was created from scratch using the actual surroundings of the Exact Headquarters in Delft and was revealed in episode eight and nine of the Mixed Reality by Max series. After designing The Exact Dutch Grand Prix circuit in Virtual Reality, it was presented as a surprise challenge for Max to drive for the first time in front of a live audience of over 5.600 people at the Exact Live event. "The campaign connected the tech-curious nature of Exact with Max his natural instinct to try new things while racing. This resulted in a set up which both parties enjoyed a lot and created a strong brand story." Do you want to watch Max driving the Dutch Grand Prix or your favorite Formula 1 course? We've collected all aired episodes on a special Mixed Reality by Max website. Hi, I am Wozz. Can I help you to find a job? I am always here for you!